Guy and Chris West are missionary staff of FEBC International, an association of local broadcast ministries representing 24 member countries and 2 associate members. 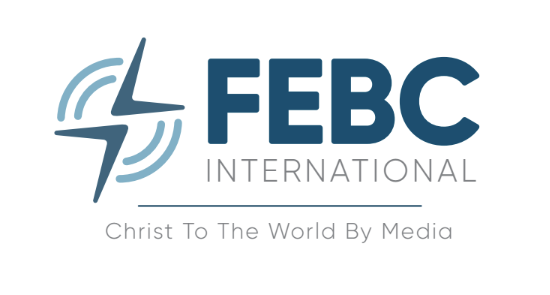 Our mission: “We proclaim the Good News among the nations by media to inspire people to follow Jesus Christ.” FEBC broadcasts in 105 languages to 46 countries and to a potential listener base of over 2 billion souls using AM, FM, Short Wave, Webcasts, Audio on demand and social media channels. Responses from our listeners total over 8 million per year. Guy is the International Service Coordinator of FEBC International managing the International Service Team (IST) which is a team of 11 full and part time missionary staff responsible for providing technical and back office services for the association. The IST has an annual budget of $750,000 and in addition to delivering their technical services the IST assists in tracking and managing multi-national project development work, the routine field operational support process and the language sponsorship funding process on behalf of the association. Group/Bulk buying Association communications systems. Guy’s day to day responsibilities are like those of any senior leadership staff in a major mission organization. They range from the necessary but mundane such as approval of team member’s expense reports and teams’ budgets, to delivery of technical design and engineer services as acting head of the Engineering Service Team, working to facilitate field communication and assisting FEBC Intl. ministry fields with their efforts in strategic planning. Guy is often on the road in Asia meeting in person with senior field staff, team members and partners. Travel is scheduled to be 30% of his year, but scheduled changes always intrude and he needs to visit his own donor base which leaves him on the road closer to 40% of the year. The major categories of Guy’s regular work are team management, support of FEBC International’s Executive committee and providing broadcast engineering design services to ministry fields.